Ogun to build museums in memory of Fela, Ogunde, others – Royal Times of Nigeria. Governor Ibikunle Amosun of Ogun State has said his administration will construct a film village and museums in memory of music and theatre icons from the state. Amosun said some of the music and theatre icons will include late Fela Anikulapo-Kuti and late Herbert Ogunde among others. The governor made the remarks today at the 3rd National Convention of the Theatre Arts and Motion Pictures Producers Association of Nigeria, held in Abeokuta. 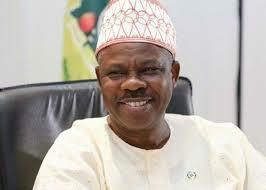 Amosun bagged the award of “TAMPAN Man of the Year” at the event. Amosun said that the proposed film village and museums are to be sited along Abeokuta-Lagos Expressway and would start before the 2019 general elections. He promised to do more for the state and for Theatre Arts, saying the reward for hard work is more work and this will spur him to do more.